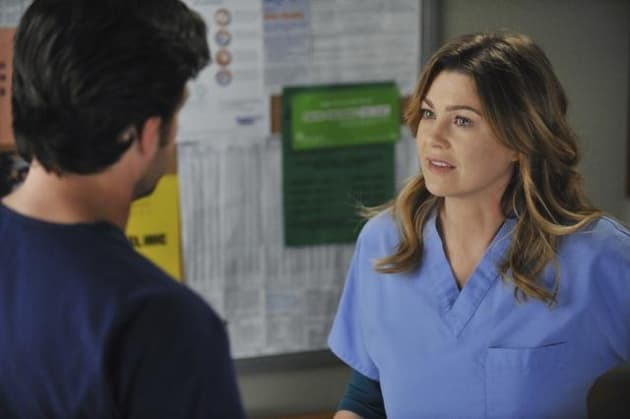 Is Meredith about to drop the baby bomb on Derek? That's what it looks like, although we're adding this photo before we've seen it! 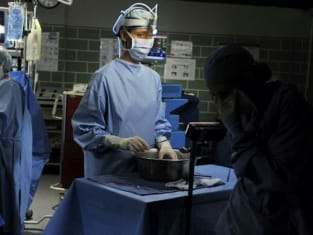 Grey's Anatomy Episode Stills: "Shock to the System"